The Goshute lands once stretched from the Great Salt Lake to Nevada. In an 1863 treaty, the U.S. government assigned the Goshute to a fraction of that space. 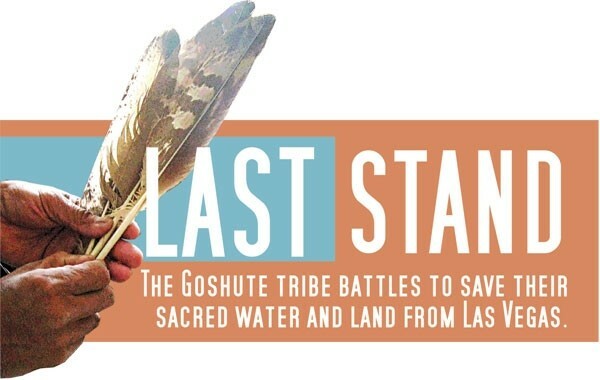 Ultimately, two reservations were created for the two Goshute tribes: Steele’s tribe, the Confederated Tribes of the Goshute Reservation [CTGR], which live on the Nevada-Utah border; and the Skull Valley Band of Goshute Indians of Utah, which live near Dugway Proving Grounds. 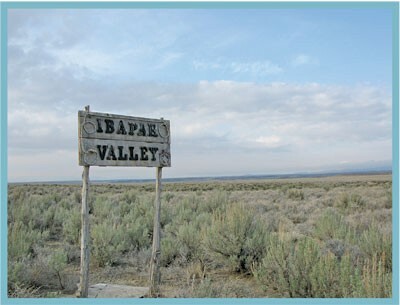 Ibapah lies an hour south of Wendover, through a west desert landscape that in the early morning sees craggy mountain faces and valleys of yellow grass covered in a milky mist. A rickety sign announces Ibapah, which means cloudy, churned water. After a few outlying farms, you pass the elementary school, a ward house of The Church of Jesus Christ of Latter-day Saints and then the tribal offices, the valley’s only employer. 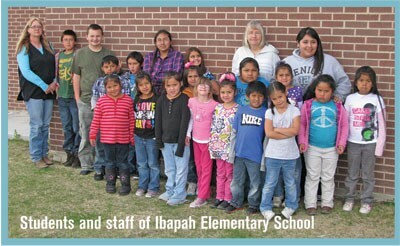 Nearly all the tribe’s members were raised LDS, but many now belong to the Native American Church. Steele says the U.S. government enlisted the Mormon church in its fight to eradicate native religious beliefs and cultural ways. Steele recalls being baptized into the Mormon church as a child. It was either that, he says, or his family would lose access to state benefits. His father taught him about “the sacredness of the land and his mother “the circle of life and how to use our water in ceremonies.” When Steele was 12, he was sent to an Indian boarding school in Nevada, where he could not speak Goshute. “They wanted to get us away from Indian thinking, Indian living.” So he put his father’s songs about the water, the sun and the moon, “in my back pocket.” His plan was to get an education, to learn the ways of the outside world, then go back and help a reservation racked with unemployment, alcoholism and drug abuse. He’s lost six of his eight siblings to alcohol-related deaths. Along with the struggle to deal with entrenched social and addiction issues, the tribe has faced a long, unsuccessful battle to bring jobs to the isolated valley. There’s so little money on the reservation, “whatever you have, you spend,” Steele says. “A lot of them live on fixed income. It’s real important to get economic development to put these guys to work.” While the tribe has the labor, it lacks managerial or administrative skills, he continues. The tribe opened a welding business in 1969 but it only lasted a few years, strangled by Ibapah’s isolation and the imposed transport costs of shipping steel work out. “We got really left behind,” Steele says. Steele’s one regret as tribal council chairman, he says, is that he put all his eggs in one watery basket. In 2007, the tribe applied to Utah to appropriate 50,000 acre-feet of water to build a reservoir on the tribe’s land that could then be used to generate power. Their water application to the Utah State Engineer made local ranchers nervous. It “was a scary deal,” says Bart Parker, whose ranch is located next to the reservation. “The amount of water they filed for was astronomical. Way more than the state engineer said was here.” He and other ranchers feared if the tribe got the extension, the resultant pumping would dry the springs out on some of the farms. In 2009, the Utah State Engineer denied the application, in part because “it would impair the water rights of others.” The tribe, however, successfully requested the department reconsider its application, and are invited to submit a less ambitious water request. Despite such disagreements, the ranchers view the tribe as the best bet they have to keep Nevada at bay. 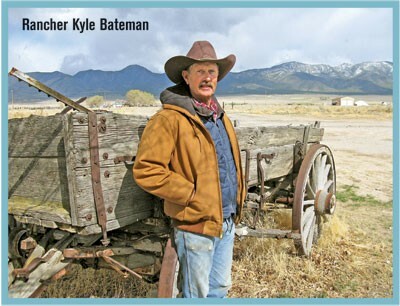 “They have a lot more influence than we will ever have,” says rancher Kyle Bateman.